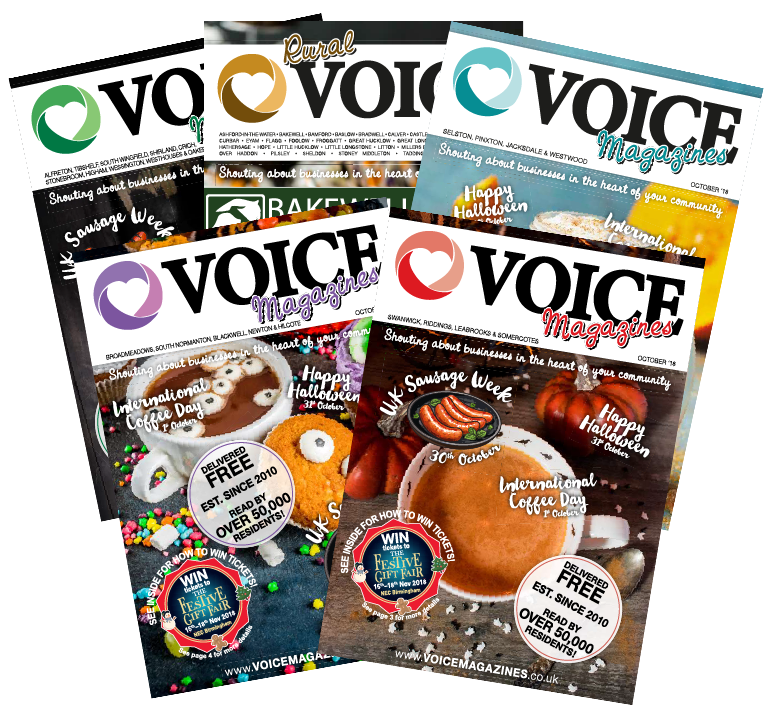 Here at Voice Magazines we are always looking to improve things and provide our readers and advertisers with the best information and service possible and our shiny, brand new, spandangly website is going to be awesome……..it is just taking us a little while to build it!! We have 5 magazines in total, going out to over 75,000 readers and we are sure we can help you promote your business and find an advertising package to suit your needs from as little as £18 + VAT. We also offer a full design service from as little as £15 + VAT for a small advert. If you would like to enquire about advertising with us, drop us an email at info@voicemagazines.co.uk, entitled ‘Enquiry’ with your name, phone number and any other relevant information and one of us will get back to you super quick, or alternatively, you can always call us to chat it over. If you are submitting community content, enquiring to be a distributor, wanted a chat or have any other business that you think we should know about……contact us on the same email or give us a call and we’ll also get back to you super quick too! Thanks again for bearing with us and we’ll look forward to speaking with you soon. Emily and the Voice Mags team.